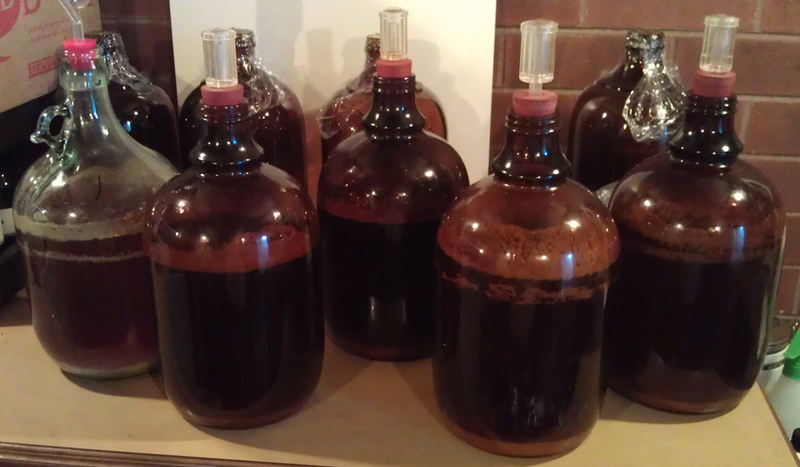 After a bit of a busy October I knew it was time to get back to brewing. And on Sunday last week that’s exactly what happened. Chas came around to lend a much needed hand. 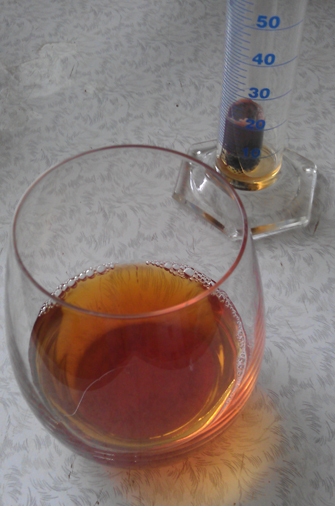 Was good to be brewing again, even if it was ‘just’ an extract only brew. I was going to have another shot at doing the not-beers. I’ve been thinking about a couple options to get a better outcome than last time. But that’s for another day. I got a request that to make a summer ale. We’re in November and summer is nearly upon us. If some of the 30° C days recently are an indication you could say summer is already here. 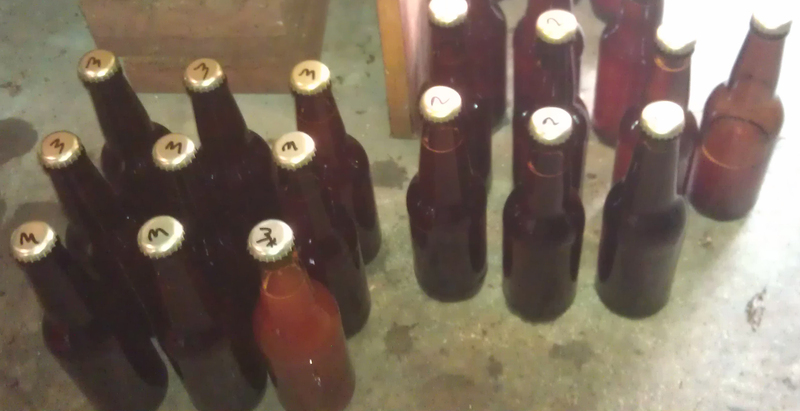 Anyway, with the heat on it’s way, and me still not sorting out the shed for fermentation fridge, it was now or never. I spent about a week here and there looking up info on Summer Ales. Quickly realised it’s not a style of it’s own. Sure there’s the English Summer Ale as a type, but was I was looking for war more of a feeling. Light, easy drinking, not too much alcohol, something that can be enjoyed cold… basically a drink to have on a hot day. I landed with a cross between an American Blonde Ale and English Summer Ale, with more wheat. I’m not a fan of most wheat beers, so this is a bit of a jump of faith for me. 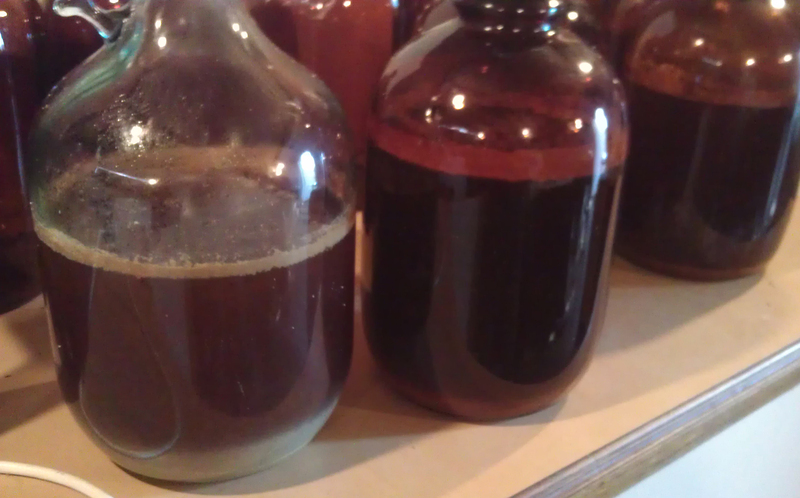 Lots of looking up recipes for all grains, partial and all extract beers. I’m pretty happy with what I chose to go with. 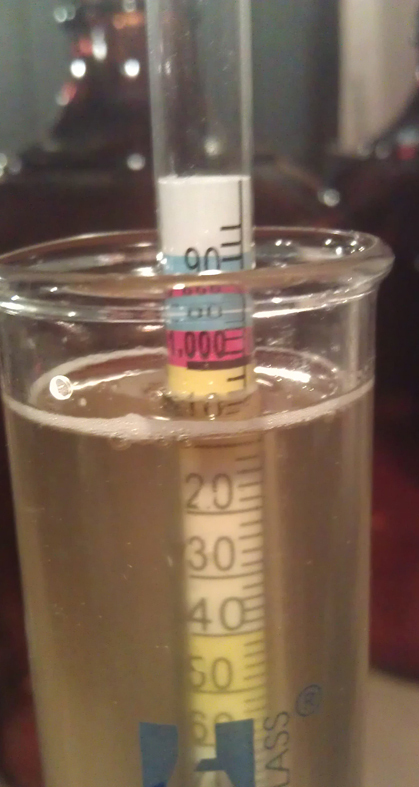 Original gravity came in at 1.028 which was a lot lower than calculated (1.044). 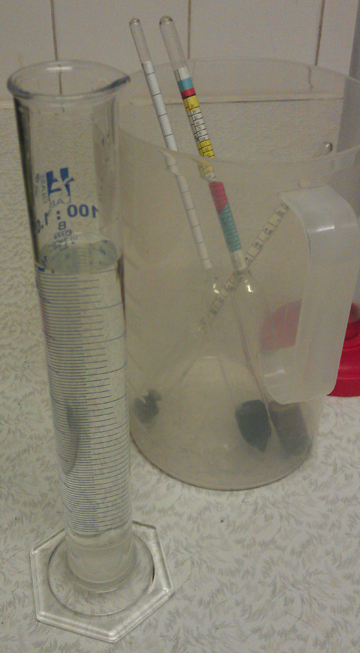 Maybe the calculations were based on something wrong, or maybe the measurements were out. Not sure. 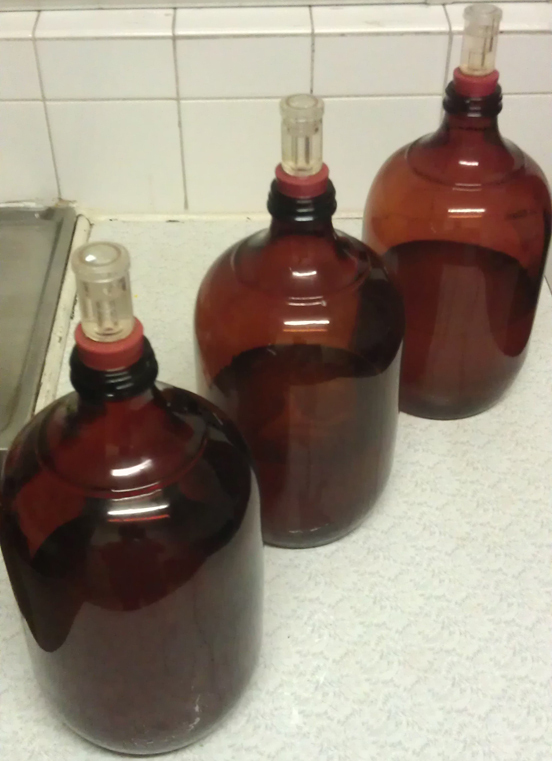 Ended up with 14 litres rather than the 13 planned. 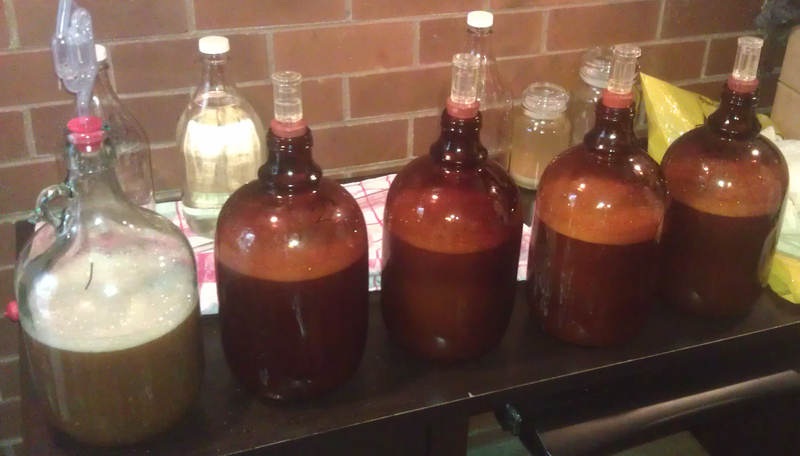 So, the 15 litre fermentation vessel was very full. 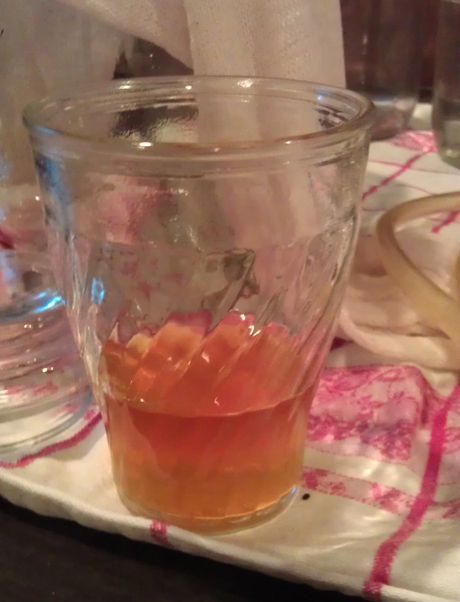 That wasn’t a problem at the start, after a couple days the fermentation was quite slow. 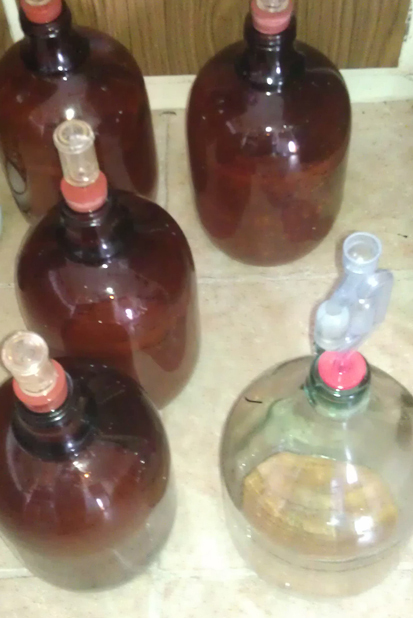 But some time in the following few days (I rarely check until bottling) there was a blow out. 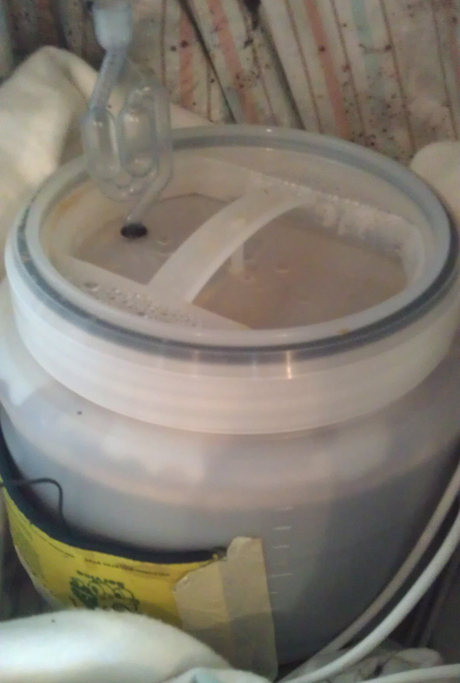 Airlock changed and now bubbling away again. I hope there wasn’t an infection. 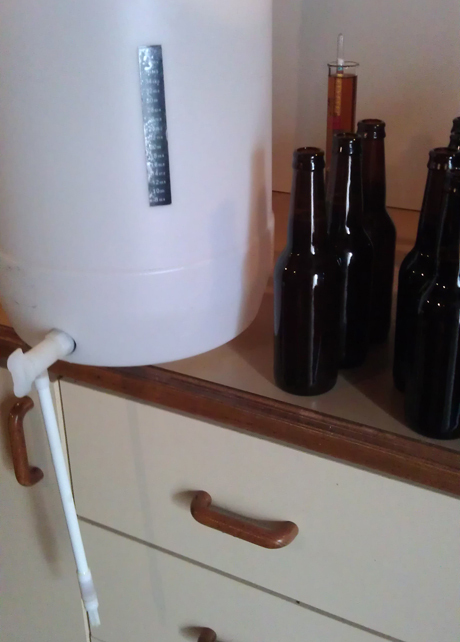 Normally the fermentor is out of the way enough to keep it safe. Will wait and see. 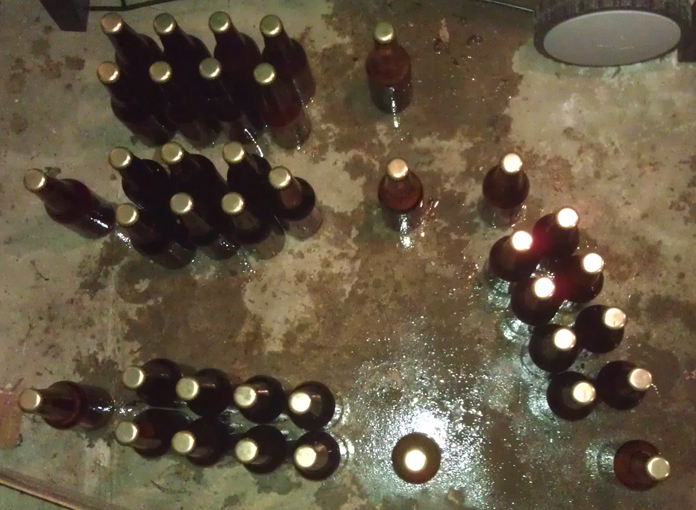 Bottling next week. 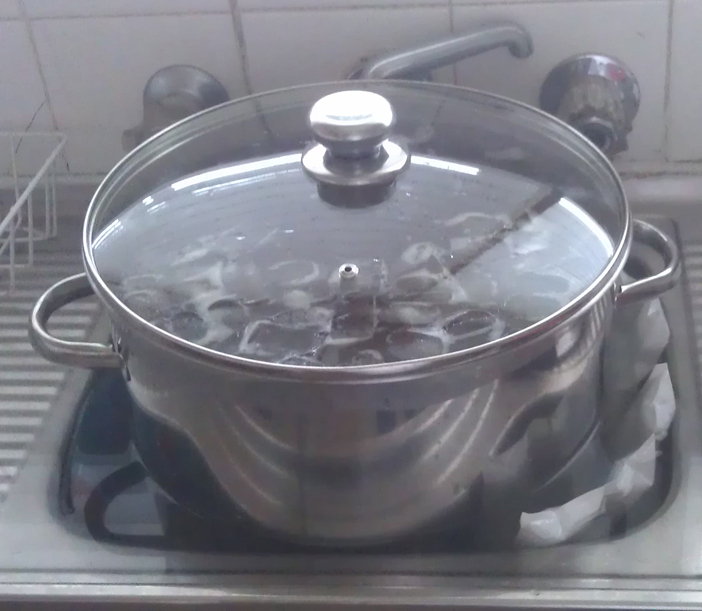 Should have a good idea how it turns out. 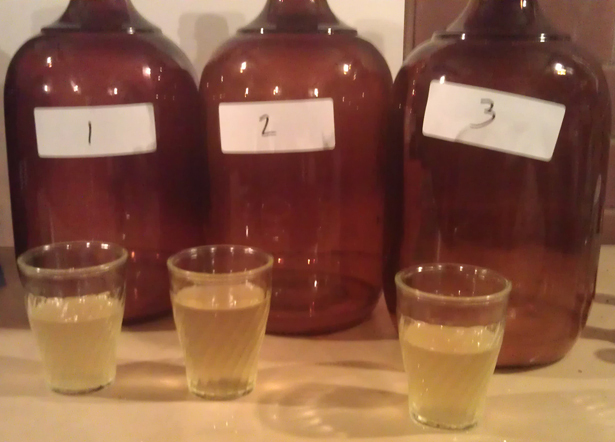 Hope it ends up a bit dry otherwise going to be less than 3% alcohol. And that might make it a little too light on body. 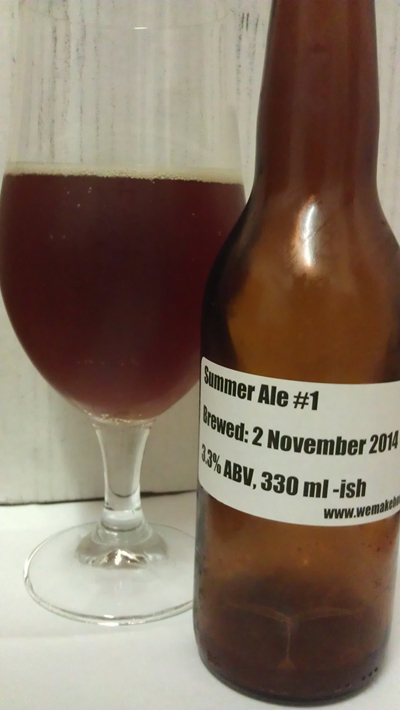 Oh, and we finally got around to doing a review of the Pale Trial Ein beers. Expect that up within the week.